Is your Android smartphone lost or stolen and you are having some personal or important data stored on your device which you do not want others to get their hands on and looking for a solution to delete or wipe the data from your device remotely then here is a solution for doing that. With this method you can not only delete contacts, messages and files but also photos, videos, audio files and also the accounts which are synced to your device remotely without even touching your device. Note that this is possible only on devices running on Android OS and not on Windows or Apple devices. There are two methods which can be done using Google account it self and no need to install any new apps, so let us see how you can remotely wipe or erase data stored on your Android device from internal memory and primary SD card. There are two options available with this feature namely Remote Wipe and Wipe Account. Remote Wipe and Wipe account are available in devices having Android 5.0 which support Android for Work which will let you delete your Work profile from your mobile device remotely without affecting your personal data. To make this possible you have to set up a work profile on your Android device. In Android 2.2 and higher devices along with iOS devices Wipe account can be used to erase Google Apps data from the device without deleting any of the other data. With this you can either delete only the Google Apps data from your device or can delete all the data stored in the internal memory of your device much like doing a factory reset of your device. If you want to delete SD card data as well then you need to have Google Sync or Device Policy Configured on your device. This works only on devices running on android 2.3 or later. And then in the second box you have to confirm that you want to remotely wipe the device and then tap or click on Wipe device to go ahead with the process. This does the trick and all the data on your device has been remotely wiped about which you will be getting a message as well. 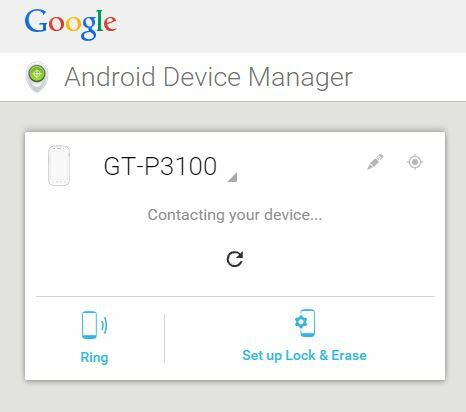 Android device manager is the easiest way to delete data on your Android device remotely but with this method you can delete all the data stored on your device with the help of Factory Reset and not selected data. This can be done only when the remotely wipe data option is activated on your device. To activate it you have to go to Setting Menu on your device and tap on Android Device Manager > from the options tap on remotely locate your Android device and remotely wipe data > this will activate the option and lets you erase data remotely. Tap or Click on it and you will get three options Ring, Lock and Erase. Tap or Click on Erase and all the data will be erased on your android device and your device will will be reset to factory settings. Note: This method is useful only when the lost or stolen device is connected to the internet using Mobile network or Wi-Fi, without which the steps wont be useful.